Over the past few years, a trend towards craft beer, with a rising share of the market, has become visible within the market for beer. Craft beer stands for craft skills, coupled with creativity and innovation. These are interesting initial approaches which can be transferred to craft bakeries in an excellent way. With our new malt cuvée – a composition of high-quality speciality malts from the IREKS company‘s own malthouse – rounded off with aromatic hop oil, a basic product is available to you which allows a great deal of scope for craft creativity and joy of experimentation. 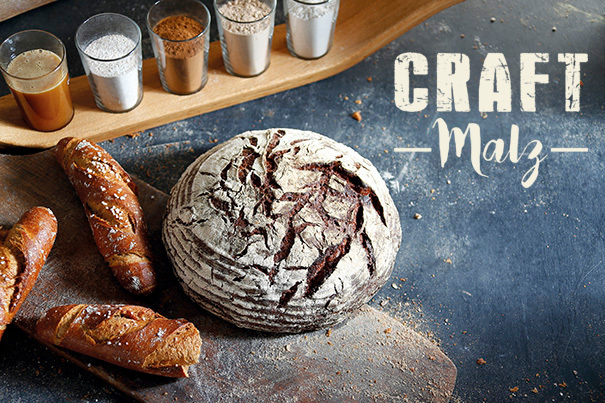 Make use of the perfectly balanced taste profile and spoil your customers with unconventional baked goods, produced with passion using craft skills.